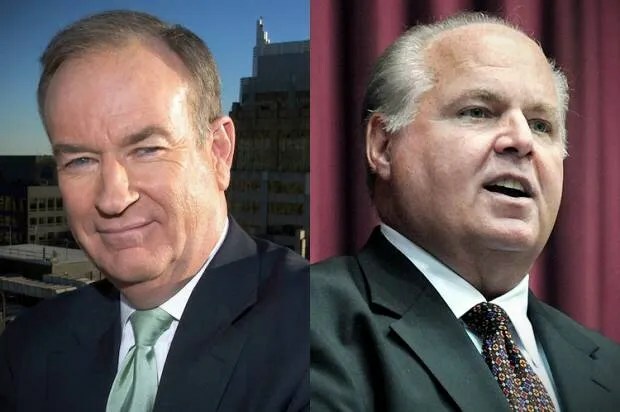 Rush and O’Reilly: Race hustlers, Inc. I was in Ireland when President Obama made his surprise 18-minute comment about the George Zimmerman verdict, so I didn’t see it. I read a wide range of reactions, but they didn’t prepare me for what he actually said. It was a sober, balanced, thoughtful and painful portrait of how race is lived by African Americans, particularly black men. I can even understand, though I don’t support, the criticism from the left: while making the powerful statement “Trayvon Martin could have been me 35 years ago,” the president also went out of his way to praise the judge and jury in the Zimmerman trial and to say the system worked; to acknowledge the problem of so-called “black on black” crime; and to observe that this country is getting better every generation when it comes to race, which it surely is. An unusually crazed, agitated O’Reilly declared that the plight of black America “has nothing to do with slavery. And Limbaugh, like O’Reilly, is fed up with people whining about slavery. “It’s preposterous that whites are blamed for slavery when they’ve done more to end slavery than any other race,” he declared. The radio bully may be hustling for a spot on Sen. Rand Paul’s staff because that’s essentially the point “Southern Avenger” Jack Hunter made about whites and slavery, in a CD obtained by the Washington Free Beacon. Every once in a while, though, it’s important to pay attention to what the braying bullies say, because they have large audiences and when they turn on a dime to one topic, you know you’re getting a view of the right-wing id. And since they offer a guide to the right-wing id as well as to getting rich, when they convene on a new narrative, others always follow. This is the new right wing racket. Well, it’s not entirely new – race baiting is an old racket on the right – but the extent to which conservatives are now comfortable telling white people they’re the new victims, in danger of being unfairly prosecuted like George Zimmerman when they should actually be thanked for ending slavery, is unique and brazen and dangerous. This entry was posted in Race, U.S.A. and tagged African Americans, Barack Obama, Bill O’Reilly, Dana Perino, George Zimmerman, Joan Walsh, race hustlers, Rush Limbaugh, Salon, Sean Hannity, Trayvon Martin. Bookmark the permalink.